As football mania grips the nation, Berrys’ has launched its Wine World Cup – offering players the chance to win wines worth over £1,700.The fantasy football game can be played online at berryswineworldcup.com. Participants have to pick their team within a budget and with a fixed number of defenders, midfielders and attackers. Players earn points according to their performance in the FIFA World Cup, and the manager whose team earns the most points wins the prize. Berrys’ football-loving Chairman, Simon Berry, says he expects the excitement to reach fever pitch during the month-long competition. “You can make changes to your team during the competition, but here’s the twist: you can only select players from the 12 wine-producing nations.” A unique mixed case has been put together that includes the best wine available from each of the 12 competing nations, including 2002 Ch. Latour, 1998 Vega Sicilia and 2005 Opus One. Visit the site to read the rules in full. Hurry: deadline to pick teams is midnight 10th June. 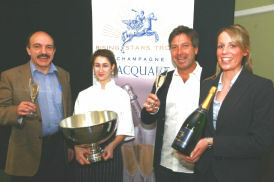 presented a menu and wine choice of Smoked Somerset Eel with Domaine Riefle’s 2008 Alsace Pinot Gris, new season milk-fed Ceredigion lamb with Hawkes Bay’s Bilancia 2006 Pinot Noir and, finally, Raspberry Soufflé with Champagne Jacquart’s NV Mosaïque Rosé. SPAR UK’s Wine Controller has been named Retailer Buyer of the Year in the Drinks Business Awards 2010. 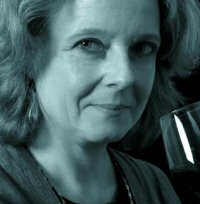 Laura Jewell MW was praised by the judges at the event, which took place at the London International Wine Fair. Over the past ten months Laura has been driving the transformation of SPAR’s wine portfolio and attempting to raise its profile as a wine retailer. Jewell who heads up the wine buying team, joined SPAR UK in May 2009 with a wealth of experience in the wine sector, having previously worked as wine buyer at Sainsbury’s and for wine agency HWCG. Laura has put in place the strategy for SPAR’s Wine Project, a three year initiative aimed at building SPAR’s credibility as a “wine enthusiast.” The project also has the commercial aim of doubling SPAR’s market share of the wine category over a three year period. The first year has already been “phenomenally successful” according to SPAR, with its Core Wine Range outperforming the market with 17.64% growth. Heston Blumenthal’s popular “Feast” TV series paid homage to the 80’s recently. This was a decade of shoulder pads, Dynasty and conspicuous consumption – especially by City workers quaffing champagne. However in the cash strapped “noughties” Heston challenged today’s city worker’s taste buds to a blind tasting between an expensive Top Champagne, and a much more affordable option: sparkling Blue Nun. 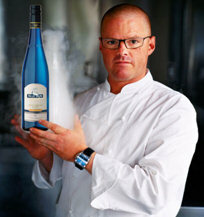 To add the sparkle, and in true 80’s style, Heston “got busy with the fizzy” and used a Sodastream. The result? 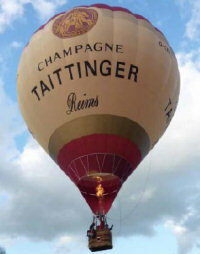 Over 50% of those who tried it, believed it was champagne. For those who would like to try sparkling Blue Nun themselves, the wine is nationally available with its price ranging from £4.29 – £5.49, and Sodastreams are available from www.sodastream.co.uk.